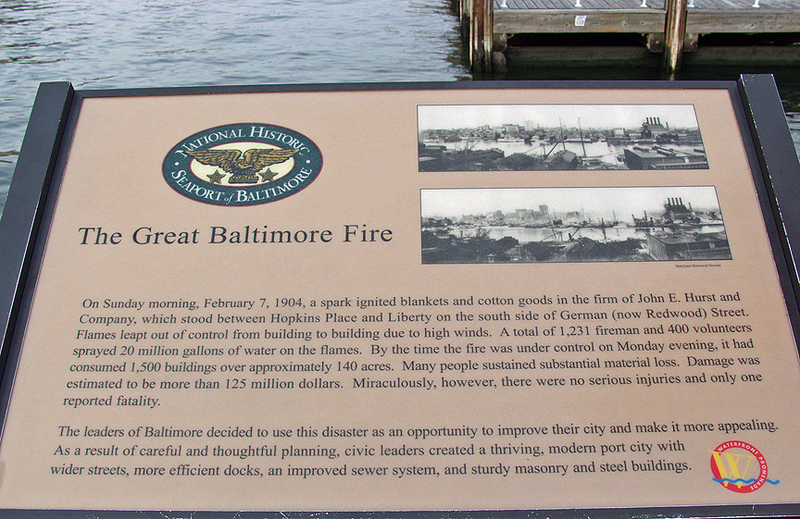 A Descriptive Monument at the Inner Harbor Describing the Great Fire of 1904: This monument at the Inner Harbor describes how the Great Fire started and summarizes the extent of damages suffered. It includes "before and after" photographs from 1904 and is positioned to show the visitor the exact same view plane of the city today. Digital photo; Michael Tormey; June, 2002.